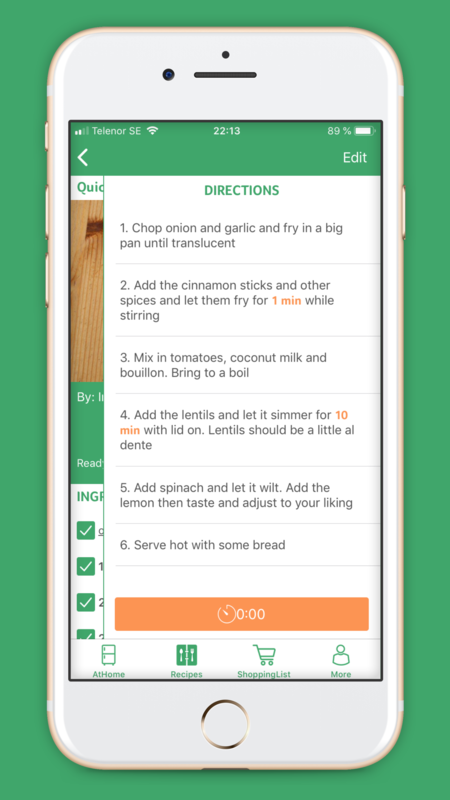 Download the iPhone app now and save your weeknight dinners! 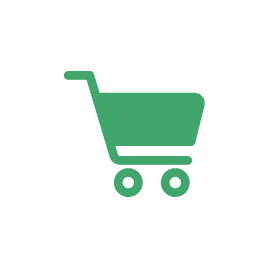 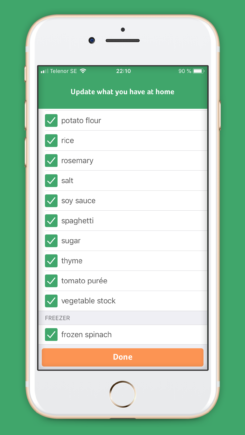 Use the At Home section to easily review what you have at home. 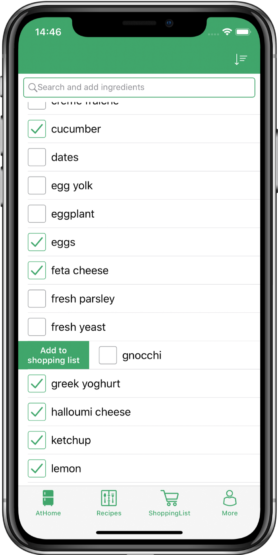 The list will show you which ingredients you currently have but also learns which ingredients you’ve used before, so you can quickly update while you shop. 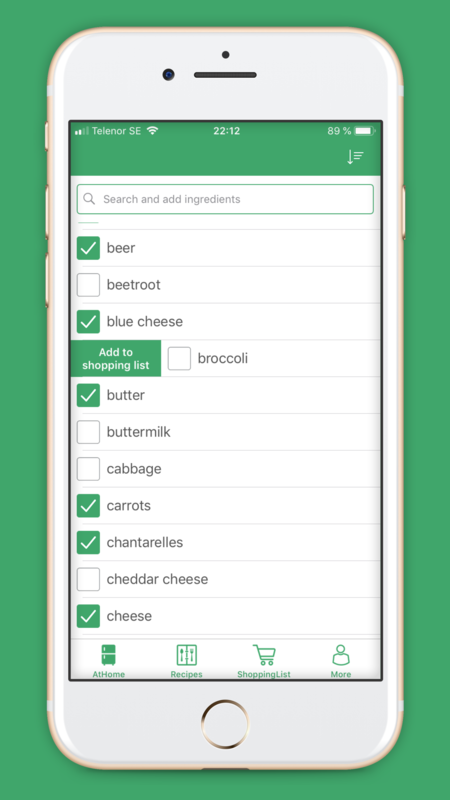 Of course, you can search and add any ingredient to your list. 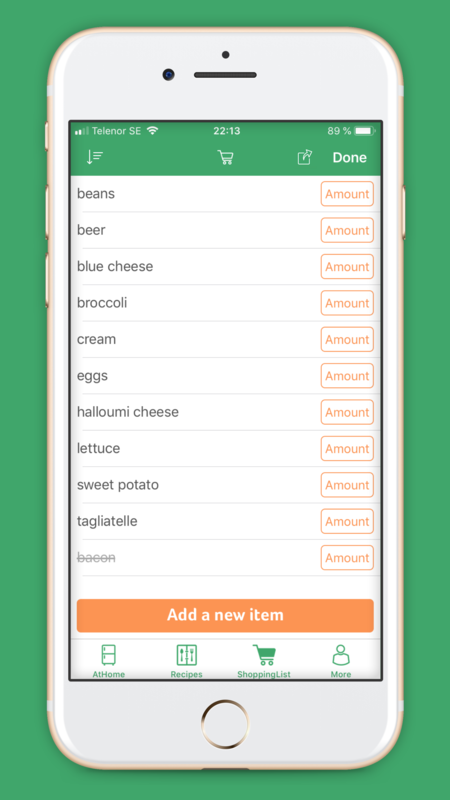 When you’ve used something up, quickly move the ingredient from your inventory to your shopping list by swiping to the right. Trying to cut down your food waste? If you want to use an ingredient right away, swipe to the left to see all of the recipes that contain that ingredient. In the recipe section in the app you can search and filter to find the recipes that suit you right now. 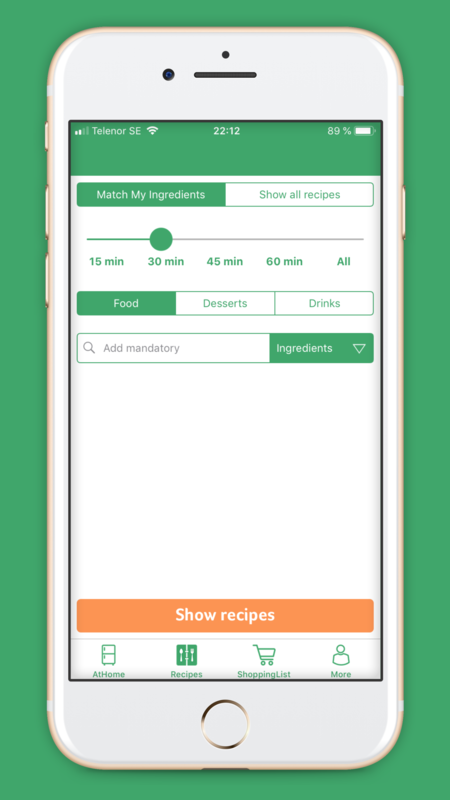 By default the app will show you recipes that you can make with the ingredients you already have at hand but you can also choose to see recipes where you are only missing a few ingredients. 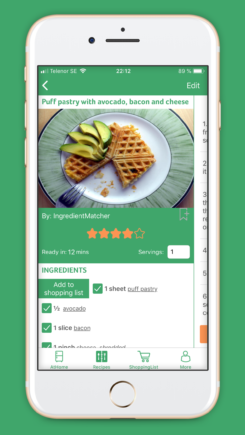 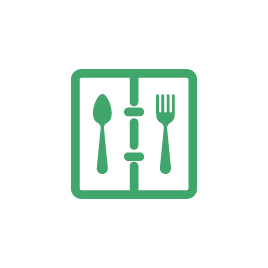 Once you’ve chosen your recipe, Ingredient Matcher makes cooking easy. 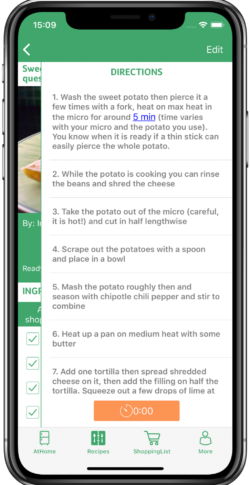 Use the built-in timer to keep track of cooking times, keep the screen unlocked so you can read hands-free, mark where you are in the recipe so you can easily find the next step and much more! 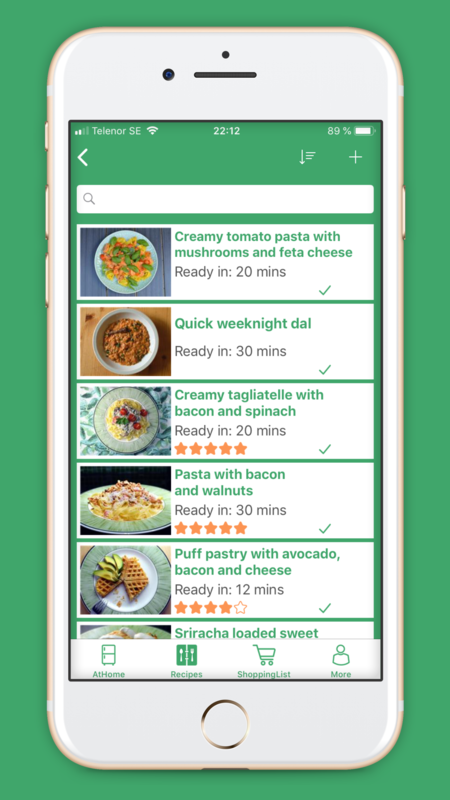 To keep your pantry well stocked with the foods you love, add individual ingredients to your shopping list as you use them or add all missing ingredients at once. 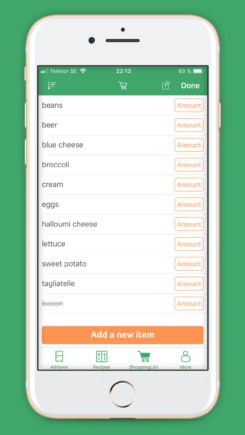 The smart, fast shopping list you have been waiting for! 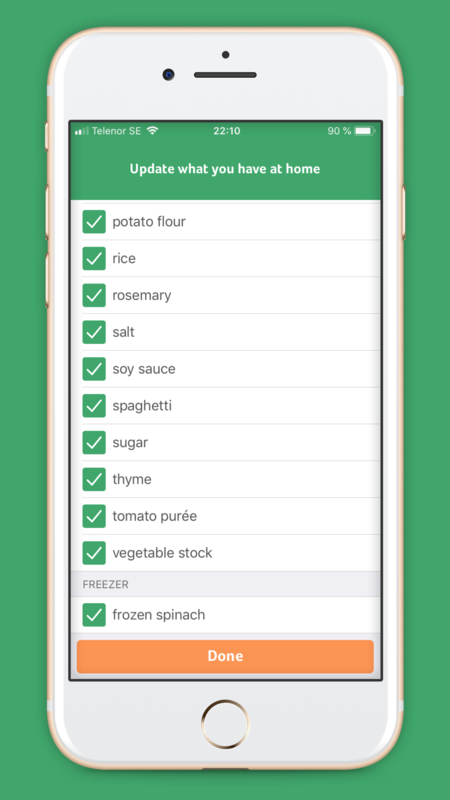 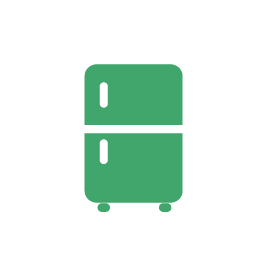 Never forget a vital ingredient again: synchronize your list with household members, see previously used items at a glance, and sort your list by food type for easier navigation in store. The best part is that if you use the shopping list you will automatically keep your inventory up to date! 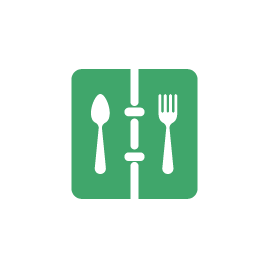 Sign up to be the first to know when it is available for your Android!